​and include The Friends as the organization of your choice in the donation section of your invitation. 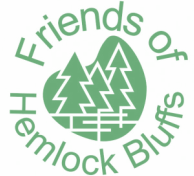 Any time you use evite you can specify the Friends of Hemlock Bluffs as your charity of choice in the donation section of your invitation. That let's your neighbors, friends and relatives know that Hemlock Bluffs holds a special place in your heart and it gives them an easy way to give in a meaningful way to you and the community. As you complete the set up of your evite party invitation, take a closer look at the details near the RSVP section. You'll see a donation tab where you can search for charitable organizations - which includes the Friends of Hemlock Bluffs! Select our name, and you can begin letting folks know about your personal connection to Hemlock Bluffs Nature Preserve. Then, sit back watch the RSVP's pour in and know you are assisting with environmental education, natural resource management and wildlife habitat improvement right in Cary, NC.